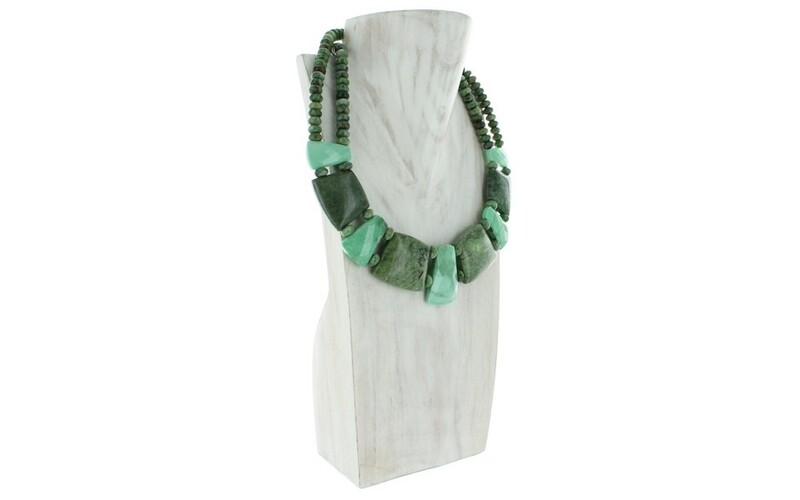 A combination of smooth, dark green opal and faceted variscite stones are the mainstay of this collar-style necklace. 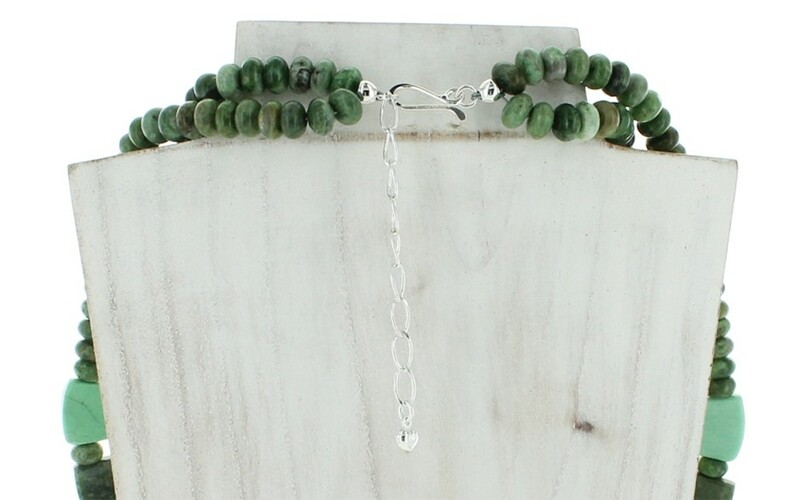 The chunky slabs of stone are separated by small rondelles and terminate in a double strand of green opal. The closure features our sterling silver hook and extender chain. 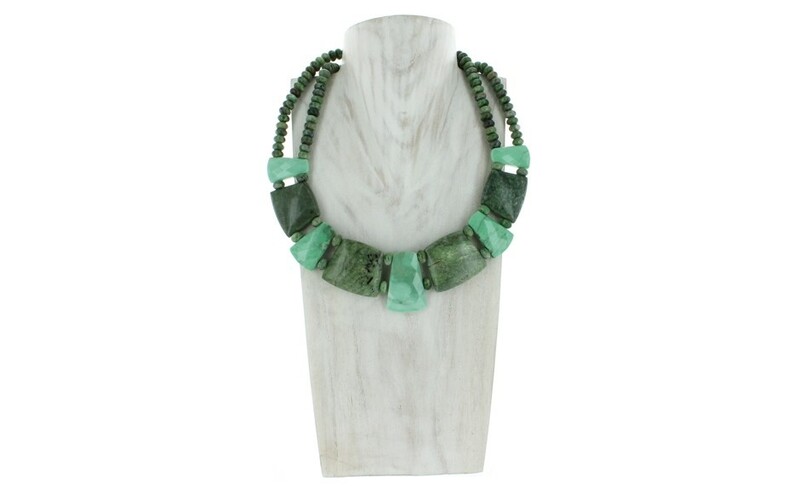 The largest stone measures 32mm x 37mm and the smallest measures 17mm x 27mm. The rondelles measure 8mm x 5mm. 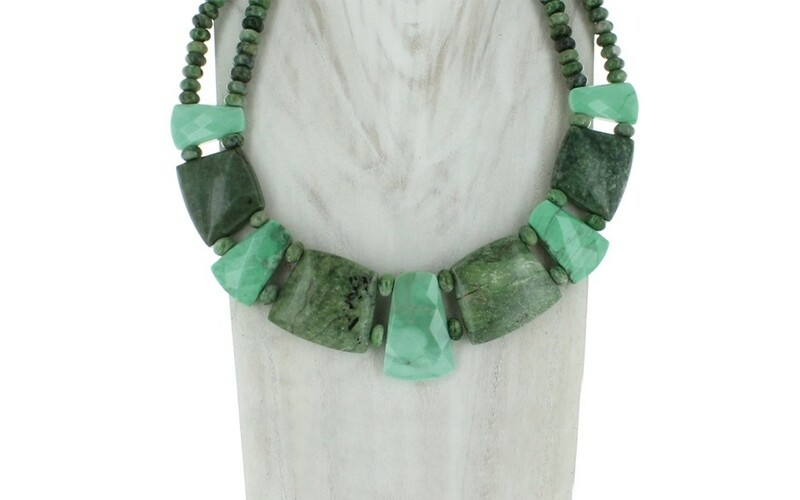 The opal was mined in Madagascar and the variscite was mined in the USA.